KSFF, Inc. is a 501 (c) 3 non-profit organization. We've wanted to do a ‘Women in Silent Film’ theme for some years now, but the timing was never right. The opportunity to introduce our audience to some wonderful female artists, many of whom they may not have heard of before, worked out perfectly this year with the acceptance of our invitation by Cari Beauchamp, author of the seminal work on screenwriter Frances Marion. Women have always had an important place in film history, most particularly in the early years when everything was new and untested. Women could carve out a career in just about any area of film work they wanted and not just in front of the cameras. Then came Steve Massa's fine book, Slapstick Divas: The Women of Silent Comedy, published in 2017 which really brought home the idea of just how far away we are from this era of strong women. 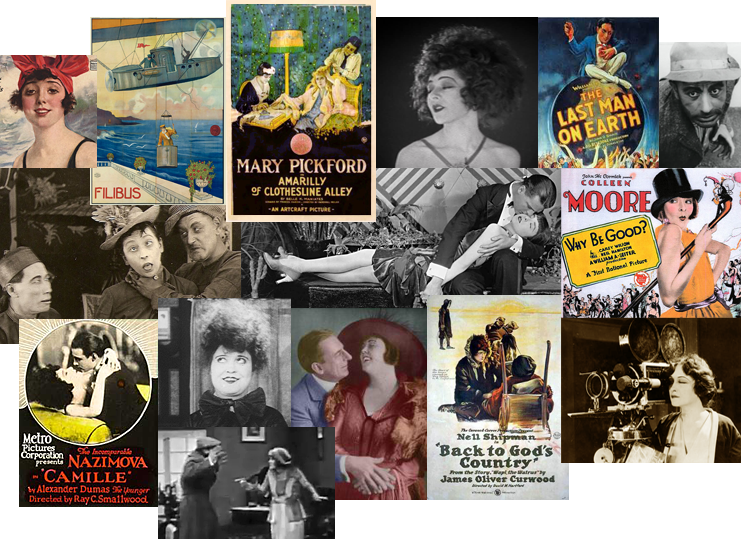 It's time to celebrate Women in Silent Film!